Katherine Ormerod the person behind the Work Work Work blog said she was “ambivalent” towards the term: influencer. She contrasted the word influencer with the word: media. Ormerod explained that when we consider media as a descriptor we’re comfortable with the catch-all term and understand it contains different elements. Ormerod emplored us to strive to do the same with the word influencer. There are many nuances within media. At one end of the spectrum, sit heavy-weight business titles such as the Financial Times. At the other, you have the froth and fun of the Daily Star. Media encompasses both and everything in between. Every magazine, every podcast every television and radio programme. We understand there are differences within the media cadre; some stark some subtle. 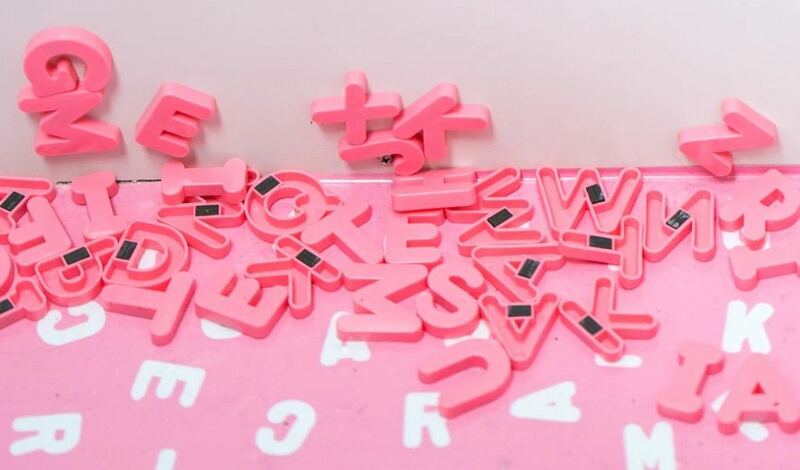 The influencer marketing language problem: Credibility versus control. A different ethos from two creative industries. I created this diagram to show the difference. Like any 2x2 matrix, this is an oversimplification. 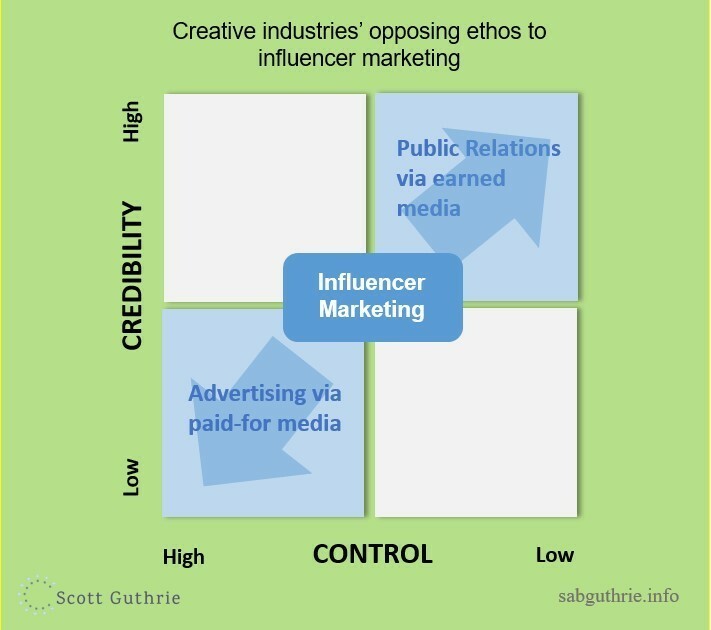 It does, however, point to different ethos driving the influencer marketing discipline. Public relations practitioners have a long pedigree working within media relations. The best results of which have come from having a strong story to begin with but building long-term relationships with journalists at relevant mastheads. PR practitioners understand that brands can’t control their messages via journalists. They can influence a story through building credibility with the journalist, by providing key information and by being useful. The benefit of earned media is the brand’s story told in a neutral tone by a credible third party. As such, control over the message is low whilst credibility of that message is high. The advertising brand, by contrast, controls exactly what is to be published. Its look, its feel, the words, the message. Control is high. But, as consumers, we know the words are hyped; credibility suffers as a consequence.